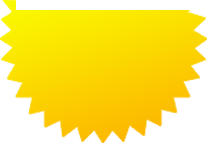 We are a fully certified roofing company that is focused on providing our customers with the best products and services in the industry. 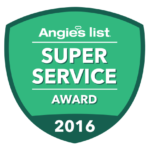 Our goal is to establish long-lasting relationships by surpassing your expectations and gaining your trust through exceptional service. Roofing problems crop up when you least expect them. When you install your roof, the contractor would have told you what the life expectancy of the roof is. The more popular asphalt roof is expected to have a service life of 20 -25 years. Asphalt roof is more popular because the shingles are comparatively inexpensive and durable. So if your roof starts leaking way before the completion of the expected longevity, you are shocked. What could have caused this? 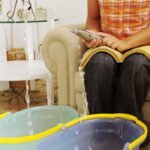 What are the causes of Roof seepage? 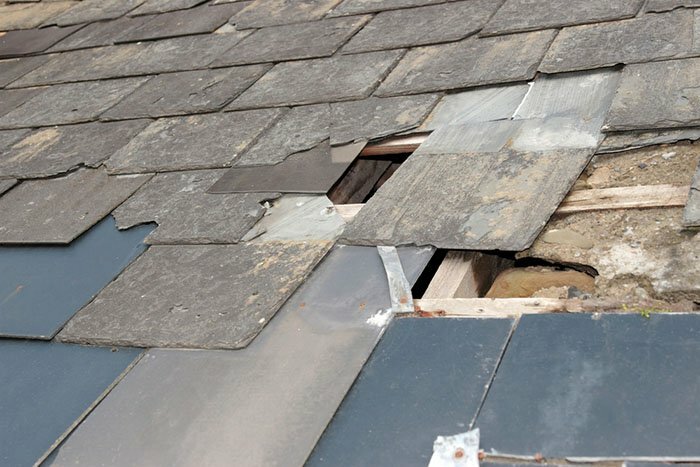 Roof leakage is caused by a plethora of defects and damages that affect your roof. These can be the result of deterioration in the roof components or incompetent installation. The roof leaks caused by cracks and other damages in various parts of the roof can let the water in. 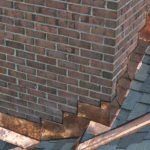 Flashings are usually metal strips installed at the base of various structures like a chimney, skylight, roof vents etc. These flashings are installed in two ways. They can be concealed or exposed. The concealed ones are usually covered with tar or rubberized coating. Cracks and crevices form on these covers in due course, allowing seepage. The exposed flashings are thin metal strips covering the joints. This also will be affected by weather. 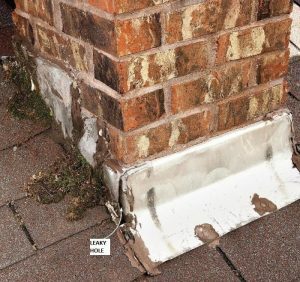 Your roofer will locate the cause and if it is a crack, remove the coating and apply a fresh coating. If the metal strips of the flashing are damaged, you may have to replace them in order to fix the roof leak. This can be a DIY job. However, getting the help of a professional will make it more hassle-free. Shingles are the small units that cover your roof. It can be of metal, slate, tile or asphalt. The asphalt shingles are favored by most homeowners. It is inexpensive and durable. But this durability is often limited by age and certain climatic conditions. The shingles go missing after a particularly strong wind, leaving holes for water to enter the roof layer beneath the inside of your house. 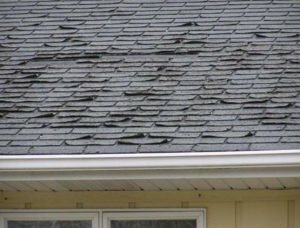 The shingles may be cracked or curled after a few years of hot summers, allowing water to seep in through the spaces in between them. The heat of the sun has another adverse effect on the asphalt shingles. After a few years, granules get detached from parts of the shingles creating weakened layers or cracks. Moss and algae growth are some other factors causing the decay of the shingles. All these problems can only be solved by replacing the shingles. The replacement of the shingles is a tough job. 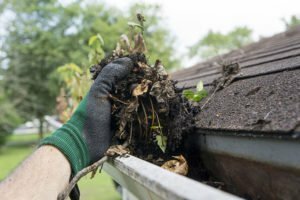 The roofer needs to remove the damaged ones and clean the underlayment thoroughly to remove moisture, moss, mold, and potentially rotted wood before replacing the shingles. As the roof ages many problems crop up. Unless you detect them on time, the life span of your roof will be greatly reduced. Regular periodical inspection should be conducted by self or an expert roofing company. The minor problems should be remedied as and when they are detected. If your chimney is made of bricks, they are the strongest part of your roof. However, the mortar at the base and top of the chimney is the Achilles heel. They can develop cracks at any time and water will trickle down to your ceiling or attic. 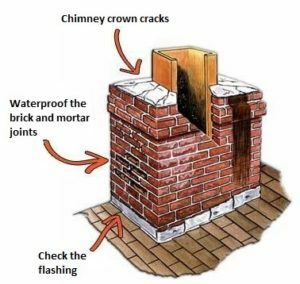 The brick chimneys should be checked every now and then because these cracks have a habit of appearing overnight and widening by the minute. Once they are detected, clean the surface and apply a fresh coat. If the cracks are deep, it is better to remove the whole segment and redo the plastering. If your house is surrounded by trees, expect leaves and small twigs that are blown off by the wind to settle down on your roof. 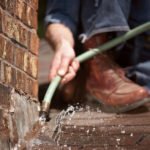 If they are not cleaned regularly, they will cause obstruction to the water flow, thus causing dampness to the shingles. This will allow algae growth which will reduce the life of the shingles. Cleaning the gutters monthly will reduce this problem. If the roofing company you hire is inexperienced or incompetent a lot of roofing defects can occur. Sloping of a roof allows water to flow off freely. If the inclination of the roof sides is faulty, the water flow will be obstructed and it will result in roof leakage. 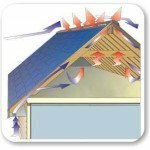 The attic should be ventilated adequately in order to prevent condensation. Inadequate ventilation will allow the attic to be over damp and mold formation will spoil the ceiling. As flashing is a potential weak point on the roof, it should be done carefully. The roofer needs to be careful from choosing the flashing material to the installation of the flashing. All the above mentioned facts points to one thing. As a homeowner, you should be meticulous while selecting the roofing company to repair your roof leak. 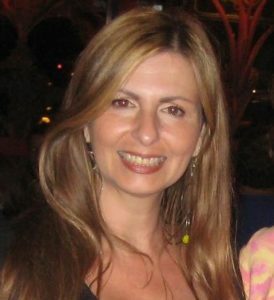 Make sure that you select the established experts in the locality. 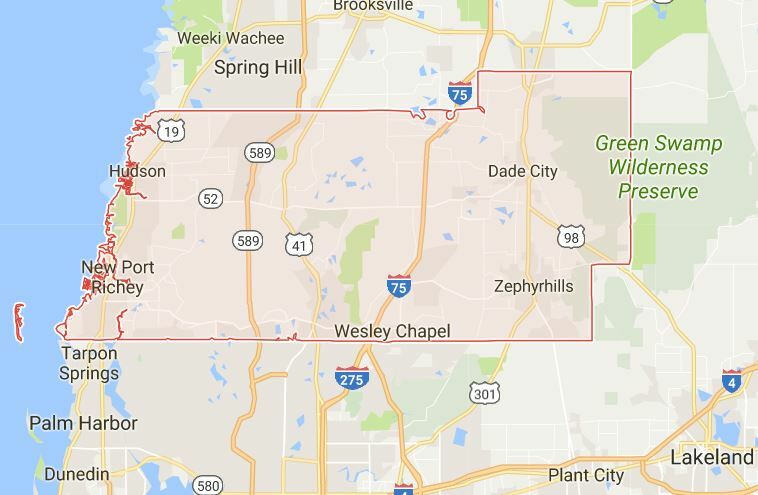 The expert services offered by The Roofing Company, New Port Richey, Fl. 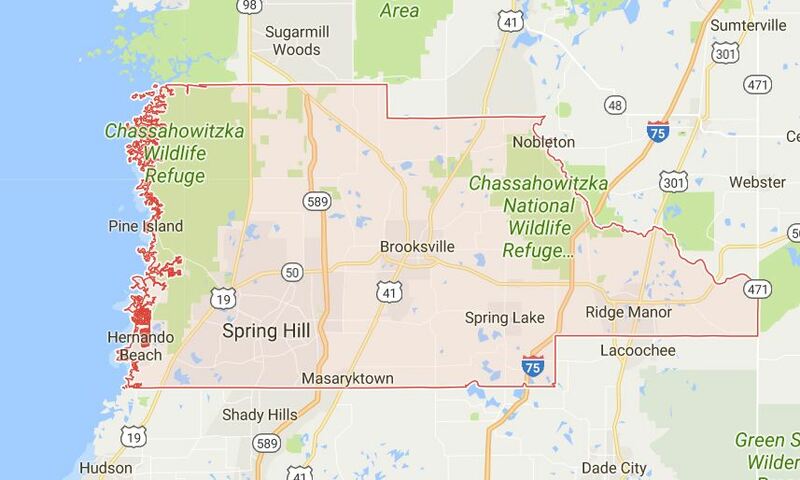 The Roofing Company, New Port Richey, Florida is a family company, which can boast of expert roofing services through three generations. 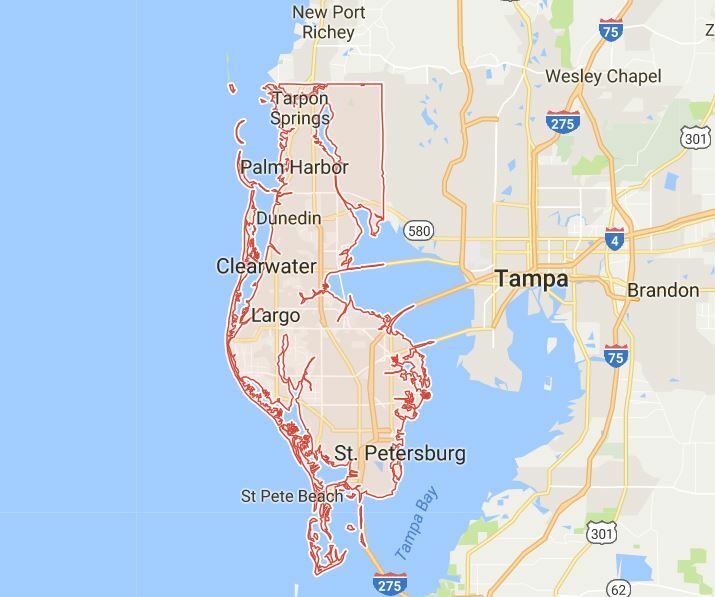 The six decades of service in the field renders The Roofing Company in New Port Richey the most competent team of roofers in your area. 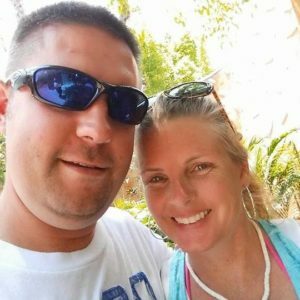 We are a licensed roofing team. The GAF and CertainTeed licenses ensure the quality of the materials we use to build your roof. We are honor bound to provide good services to our customers. 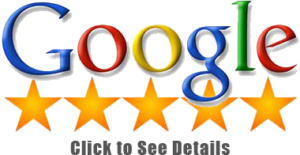 We offer a 15 point roof inspection to our customers, completely free of charges. 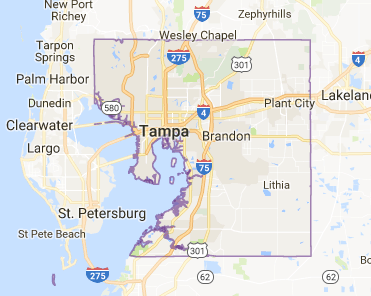 If you need us, give us a call (727)916-3151 or fill out the online form on our website. We will be at your doorstep in no time!